After the death of John F. Kennedy, Lyndon B. Johnson took over the presidency. At first, Lyndon B. Johnson did not appreciate Vietnam. Yet, on November 24, 1963, Johnson committed to visit Vietnam when the situation in Southern Vietnam, especially in Mekong Delta, was crumbling. By the end of 1963, Johnson had inverted the disconnection policy of Kennedy from Vietnam in the withdrawal of 1,000 troops with his own NSAM 273 to enlarging the war. 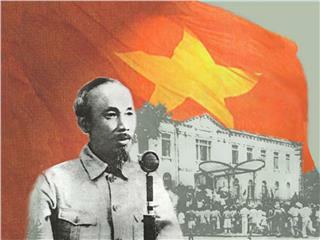 The military revolution council meeting was established with 12 members led by General Duong Van Minh. However, persistent instability in the military still existed as coups occurring in a short period. 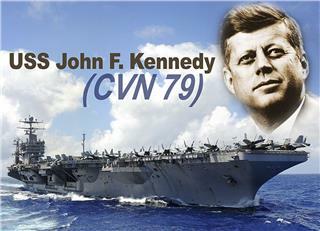 On August 2, 1964, the Gulf of Tonkin Incidents happened. In the first incident, the USS Maddox purportedly attacked and damaged torpedo boats. After two days, the second attack of USS Turner Joy and Maddox occurred in the same area, which led to retaliatory air strikes, convinced Congress to approve the Gulf of Tonkin Resolution on August 7, 1964. With this resolution signed by Johnson, the president had a right to implement military operations in Southeast Asia without declaring war. During 1961 to 1964, the Army’s strength increased from about 850 thousand to nearly one million soldiers, while the figure of Viet Cong was only up to 100 thousand at the end of 1964. 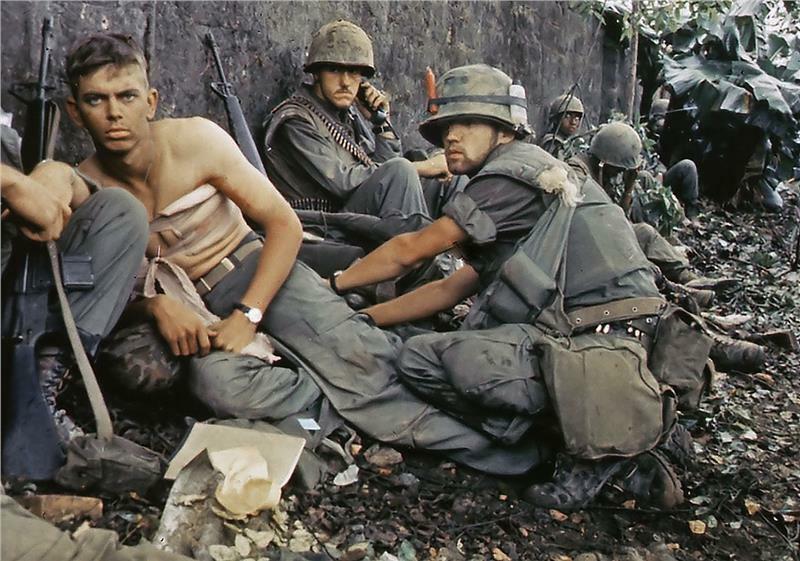 Yet, the number of the U.S troops sent to Vietnam was 2,000 in 1961, and mounted significantly to 16, 500 in 1964. 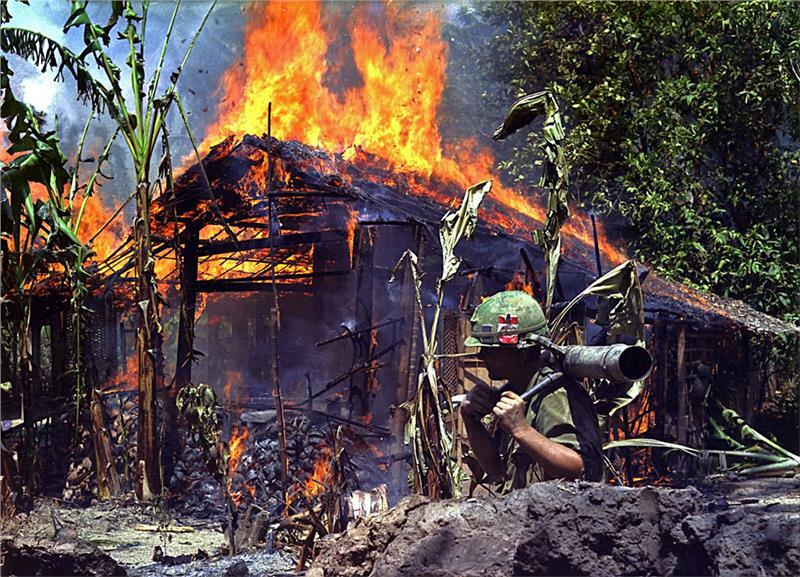 By early 1965, Viet Cong destroyed 7,559 South Vietnamese hamlets. On March 2, 1965, after an attack on a U.S Marine barracks at Pleiku, a three-stage escalation of bombarding Northern Vietnam including Operation Flaming Dart, Operation Rolling Thunder and Operation Arc Light inaugurated. 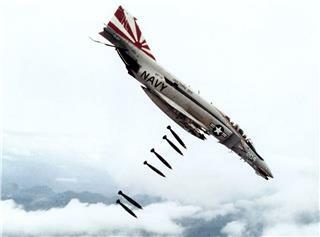 Lasting for three year, the campaign was planned to force North Vietnam to desist its support for the Viet Cong by threatening to destroy the air defense and industrial infrastructure of North Vietnam. 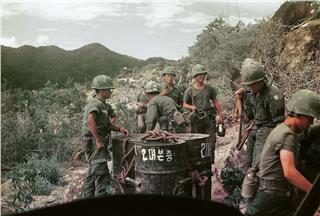 Strengthening the morale of the South Vietnamese is another target of this campaign. From March 1965 to November 1968, “Rolling Thunder” with a million tons of missiles, rockets and bombs were used to deluge the north. 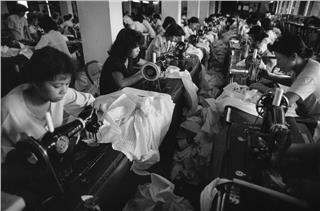 This military operation was not restricted to North Vietnam. 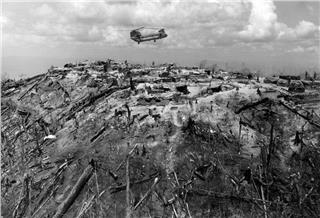 Operation Commando Hunt was another aerial campaign which focused on different parts of the Viet Cong and National People’s Army infrastructure. With the objective of preventing the connection between North Vietnam and the Viet Cong, the Ho Chi Minh trail supply route was in the target of this operation. After several attacks, the U.S Air Force bases need protecting as the South Vietnamese military seemed unable to provide security. On March 8, 1965, 3,500 U.S Marine were accelerated to South Vietnam, and the figure was expanded up to nearly 200,000 by December. 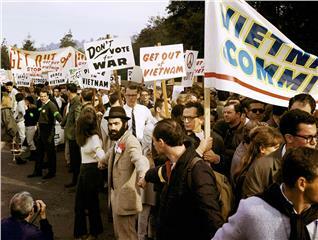 This noted the beginning of the ground war of the American in Vietnam, which was supported by the U.S public opinion. 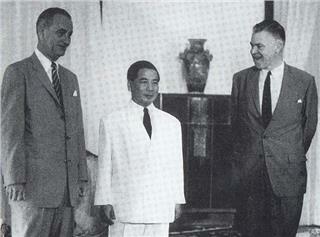 Some claimed that the policy of North Vietnam was not to expel other non-communist governments in South East Asia. In December 1964, Army of Vietnam forces had to suffer serious losses at the Battle of Binh Gia. 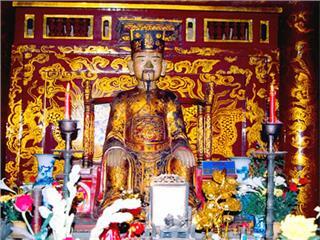 At the Battle of Dong Xoai, the forces of South Vietnam continued being defeated in June 1965. The U.S General William Westmoreland, a commander of U.S pacific forces believed that the situation of increasing desertion rates and morale plummeted was critical. A three-point plan attempted to win this war proposed by Westmoreland was approved by Johnson. 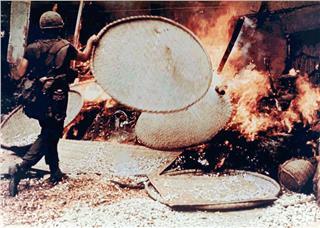 That the government of South Vietnam could control its own affairs is a shelving idea. This time saw a huge surge in corruption. 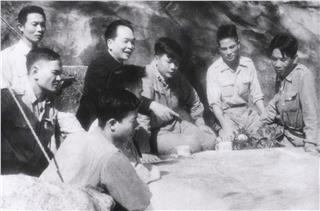 Yet, the insurgents of communism were still ambiguous and determined great tactical flexibility. At the same time, there was a signal of political stability in South Vietnam with the coming to power of prime minister Air Marshal Nguyen Cao Ky becoming the Chief of State; Nguyen Van Thieu was the head of a military junta in the mid-1965. By dint of this stability, a series of coups was ended. 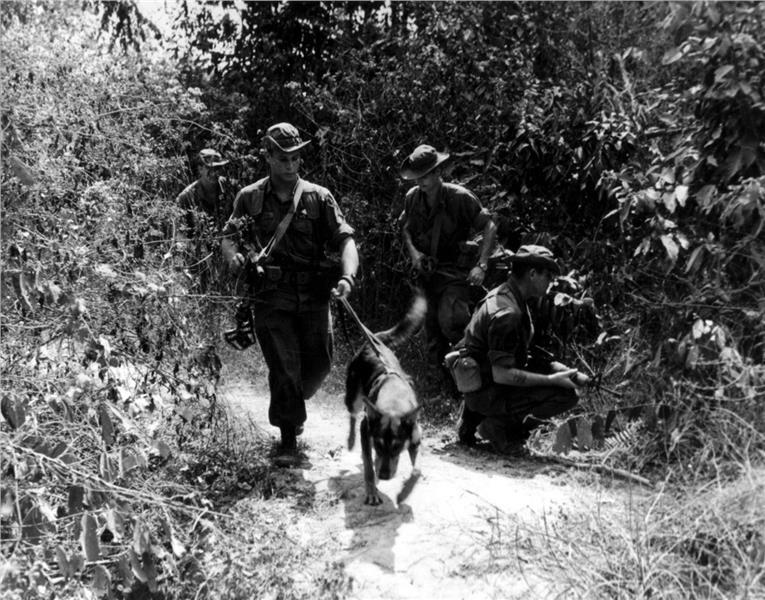 In late 1967, in spite of repelling the major armed forces of National Liberation Front (NLF) from plain to mountainous regions, but the U.S. military had not pacified the guerrilla forces in South Vietnam. Guerrilla forces of NLF also extended the range of attack range, not only for military purposes but also for the organizational structure of local Republic of Vietnam’s administration. Belonging to the plan of assassinating officials and local police, this policy not only effectively undermined external human resources of executive local government, but also psychologically affected the public in the South. Over 3 years of fighting with U.S. forces directly, though still standing on the battlefield, the casualties of National Liberation Front significantly increased. 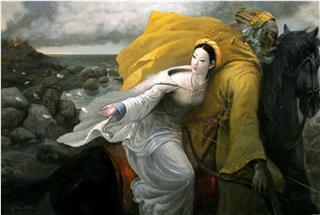 If this situation continued developing, determined victory would be impossible. To turn the situation and to create a breakthrough in the war, the Ministry of Vietnam Labor Party’s politburo in Hanoi decided to open Tet Offensive in 1968, a major offensive. In this battle, NLF launched general offensive and uprising throughout the South, hitting most of the cities, towns and military footholds of the enemy. This event, which was a milestone during the war, shocked the world. In fact, in January 1968, the intelligence of the Republic of Vietnam Armed Forces gathered documents about the upcoming offensive of NLF. However, they were thought to be deception and unreliable documents. William Westmoreland, general commander of U.S. forces in Vietnam, said Vietnam People's Army would attack in dry season with important footholds of Thua Thien, Quang Tri and Khe Sanh. 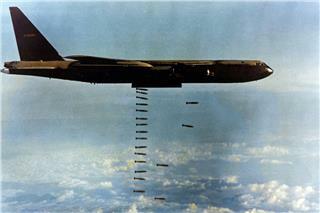 Most Americans and allies of the Republic of Vietnam all were surprised by the attack. Tet Offensive in January 30, 1968 targeted in the most incredible spots in the city like the U.S. Embassy, President’s Palace, General Staff Department, and Tan Son Nhat Airport. However, the NLF also made some mistakes in planning at the battle. They were not flexible to change depending on the situation. 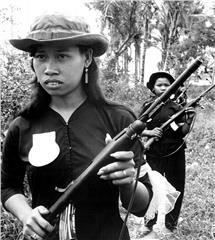 After the Tet Offensive, the armed forces of NLF were pushed out of urban areas. The attack of NFL was also a reason for a strategic victory in Vietnam War. Because they had “defeated the will of the American invasion”, forced the U.S. to de-escalate war in Vietnam and start withdrawal. On March 31, 1968, it was the first time since the beginning of the war, the U.S. government forced to de-escalate the war. 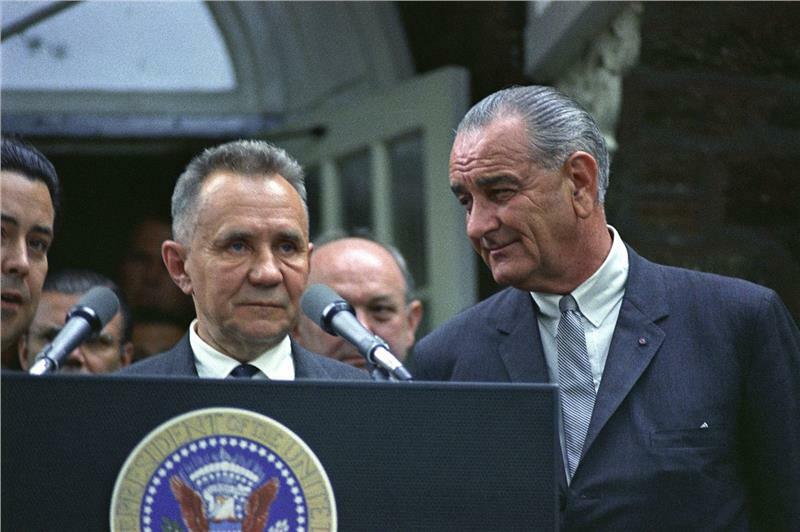 the President Lyndon B. Johnson declared to cease bombing North Vietnam, and ready for negotiating to end the war. The successor of Lyndon B. Johnson, President Richard M. Nixon, was elected, as he promised to stop the war. 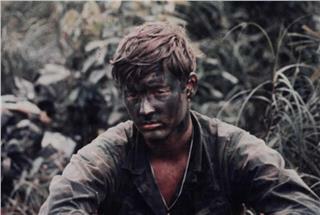 He vowed to gradually withdraw the U.S armed forces from Vietnam and negotiate with the NLF. 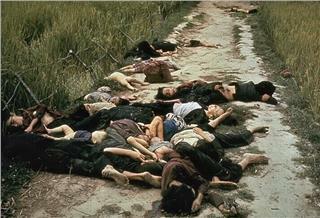 However, there was a new strategy of the U.S. government for Vietnam War. That was “Vietnamization”. Vietnam War entered a new phase in which the government and the army of the Republic of Vietnam had to fight without the U.S. expeditionary soldiers. 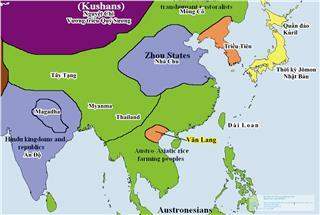 In terms of long-term strategy, this was a big disadvantage for the army of Republic of Vietnam.